Beautiful countryside near Lisbon. 10 minutes from the sea. For those with at least 1 year yoga experience. will nourish us and taste good too. Julieta Rodrigues has opened her home as a yoga studio and place to enjoy the noon meal. Her home is in Nafarros, near Sintra (coastline pictured above). She will offer a guided tour of Lisbon on one afternoon. There are some wonderful hotels in the area. I can help you find a place to stay. If you wish to share a room and someone else does too, I can pair you up. Hotel is separate. Julieta will help with making arrangements for cabs when needed. 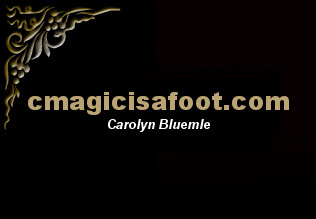 Carolyn Bluemle is Iyengar certified and has been teaching yoga for 19 years. She has studied in India with the Iyengars and in Italy with Dona Holleman. During her doctoral studies at UC Berkeley she honed her analytical skills. Years as a dancer inspire her sense of poetry in the body. Her teaching is enthusiastic, precise, and compassionate and reflects her love of the practice. Iyengar yoga teaches stability and openness through alignment so that the flow of energy and the focus of the mind are found in each pose. Rachel Merga studied at The Natural Gourmet Institute of Health and Culinary Arts, NYC and has worked with some of the nations top chefs during her internship at The james Beard House, NYC. She was featured in "Vegetarian Times" magazine "Best New Vegetarian Chefs" feature March 2007. She is passionate about working with natural, local, seasonal, organic ingredients.